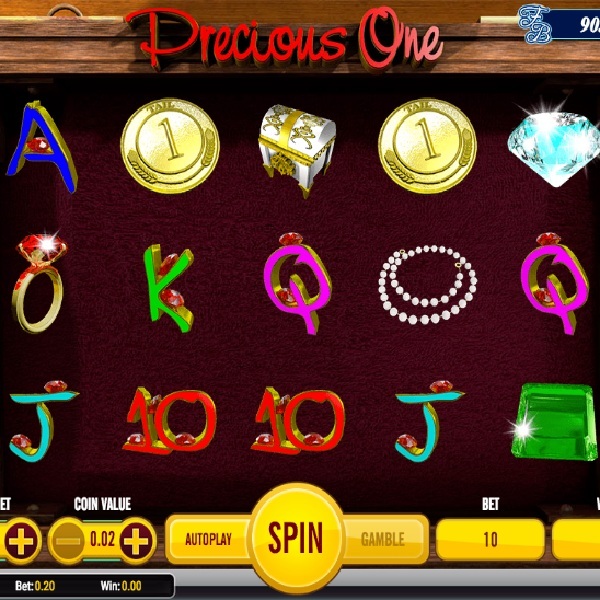 If you gamble in the hope of winning enough to buy luxury jewellery then you may like Altea Gaming’s new slot Precious One. It is a 5 reel, 10 payline slot with the reels set inside an ornate wooden jewellery box. The high value symbols are theme related and include diamonds, green and purple gems, a gold coin, a sparkly brooch and a pearl necklace. The ring with a huge red jewel is the wild and it will double all wins it contributes to and there is a gold and white chest scatter symbol. If you can land three or more chest scatters then you will receive ten free spins during which all payouts are doubled. The slot also has a gamble feature and is linked to the Fairy Bonus Progressive Jackpot which can be won randomly at any point while playing.